Registration: Sorry, registration for this event has been closed. If you are still interested in participating please email Stephanie Rennie, Programs Manager. The Tri-Cities Young Professionals brings you an exclusive opportunity to learn, implement and practice your leadership skills through the Emerging Leaders Suite. In partnership with Gamar Leadership Group Ltd., this intensive pilot program will help emerging leaders apply innovative and effective leadership skills. More than ever before, emerging leaders must learn and deploy core leadership and management skills, develop a broad strategic perspective, take their leadership skills to the next level and expand their professional and personal networks. Adel Gamar brings Harvard University developed leadership training to us for a two-day course on what skills up-and-coming executives, directors and managers need to lead most effectively. looking to increase their leadership skills in line with organizational and strategic perspectives. taking on additional managerial responsibilities. seeking to be effective in their organization. Presented over two sessions, participants will learn concepts and build key skills in five areas including leadership, negotiation and collaboration. The TCYP Emerging Leaders Suite requires participants to complete pre-programming work and attend both sessions. During the sessions, participants will also discuss leadership challenges and strategies, enhance their communication skills, build peer support and expand their professional and personal networks. 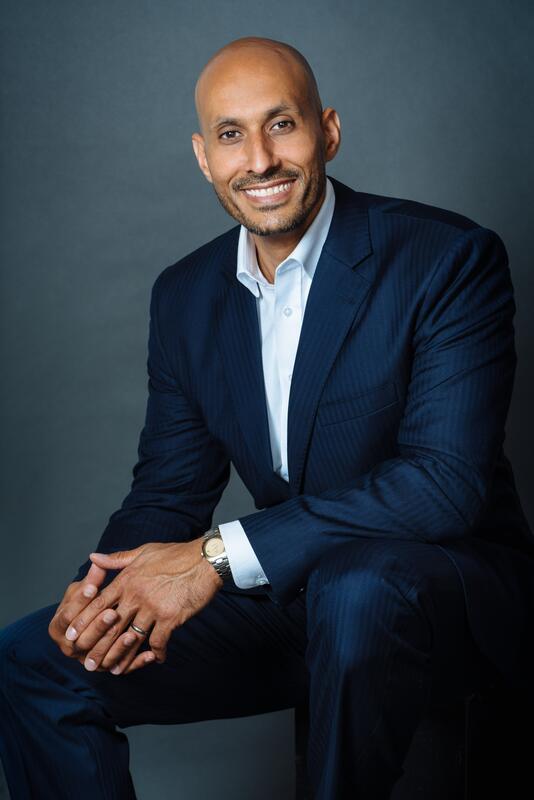 Adel Gamar, CEO and Co-Founder, Gamar Leadership Group Ltd.
that specializes in adaptive leadership, strategy and change management. For the past 16 years, Adel has advised and coached senior leaders and teams of Fortune 500 companies, higher education, nonprofit organizations and governments worldwide. He served as Education Specialist at UNESCO and Policy Fellow at Harvard Law School. While at Harvard, Adel taught adaptive leadership and negotiation. He also co-facilitated the Think Tank on Global Education: Empowering Global Citizens. A native of Metro Vancouver, Adel holds an MPA from Harvard and a B.Ed. from the University of Calgary. He currently serves on the boards of Douglas College, Boston-based Knovva Academy and the Coquitlam Foundation. He is a faculty member at the UBC Sauder School of Business Executive Education. *Attendance at both sessions is mandatory. Registrants must be 35 or under to participate in this leadership series.